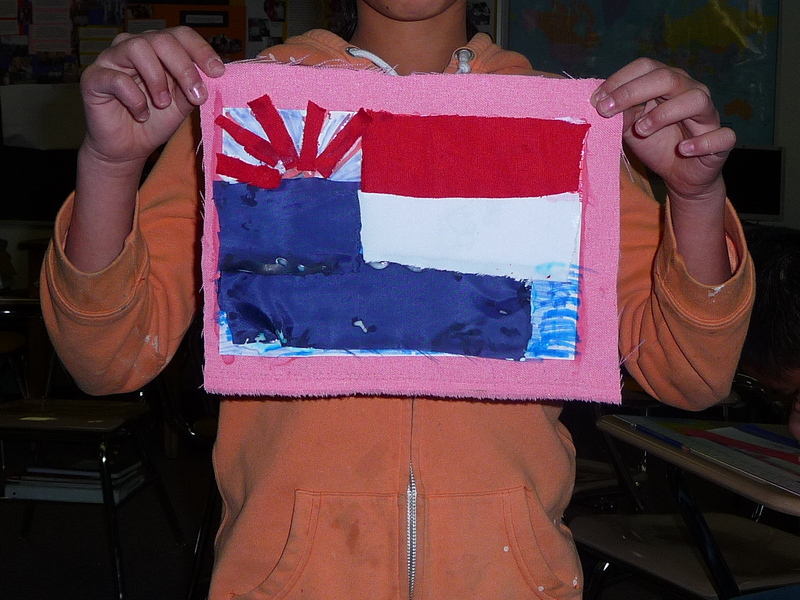 For Burmese refugee children, art is therapy. A few times in week in the Frank Porter Graham Elementary School outside Chapel Hill, North Carolina, a small group of Burmese children gather for classes in Art with Kristin Lintin. Working with the U.S. Committee for Refugees and Immigrants in Raleigh, the Art Therapy Institute of North Carolina www.ncati.org is helping these children, many of whom grew up in refugee camps and just recently arrived in America, to express their hopes, dreams, fears and past experiences. 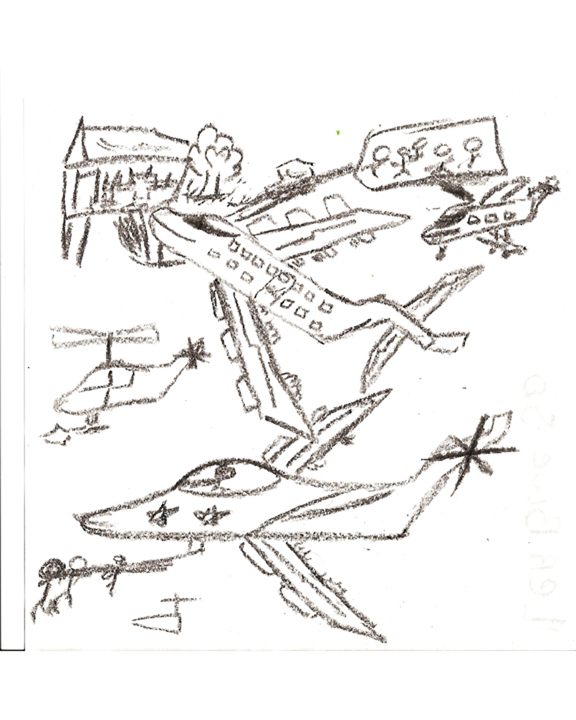 Child's drawing of war planes. The country of Burma, known as Myanmar since 1989, has a long and fractious history. From 1886 until 1948, it was under the colonial power of England, and governed through India. It achieved independence in 1947 and elected Aung San as its leader, but he was quickly assassinated. In 1962, the country fell under the military rule of General Ne Win, who drove the nation into poverty and began the systematic persecution of the minority Karen group, and other “resident aliens” who are not recognized by the government as legitimate citizens. Today the country is still under military dictatorship, ethnic cleansing is still accounting for almost 10,000 deaths a year (for the past 40 years) and the legitimately elected Aung San Suu Kyi, granddaughter of the original leader and Nobel Peace Prize winner, remains under house arrest since 1989. The majority of the refugees in the Chapel Hill area are Karen Burmese, who were driven out of their country into squalid, overpopulated camps on the border of Thailand. Since 2005, the U.S. has allowed the influx of about 2,000 Burmese refugees annually, and the children arriving in Chapel Hill often speak no English, have little formal schooling, and have suffered major trauma. 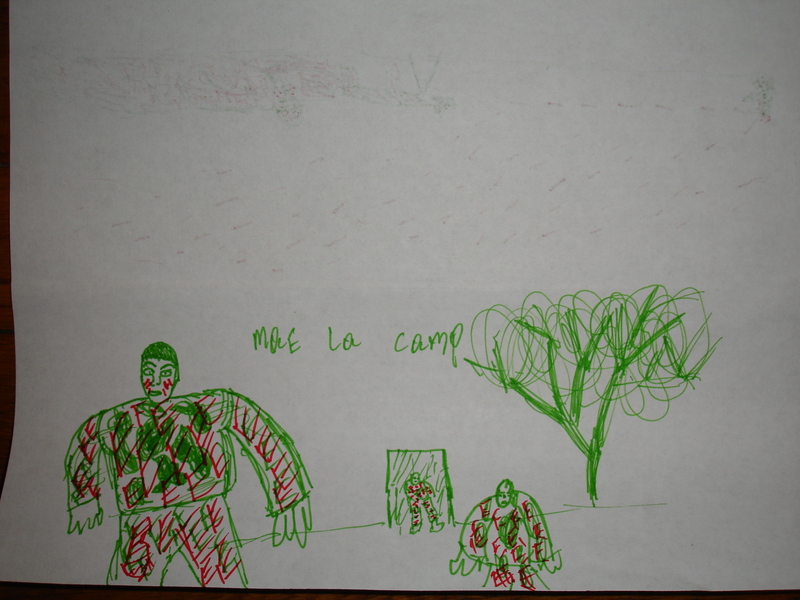 My $100 will fund another class of Art Therapy for Burmese refugee children. After living stateless, hopeless and in despair, they’ve more than earned it. We have sponsored a few Karen families here in Leamington Ontario Canada and were planning to start an art therapy group in Feb. 2013. So happy to ctch your site. I’m sure I will learn from it. Thanks. Our company, Schreiber Translations, is currently looking for Karen and Burmese interpreters/translators in the Chapel Hill area. If you have any contacts through your program that might be interested in this opportunity, please could you send me their details, at speace@schreibernet.com? I’m not very artistic. Maybe I could learn something from these kids! We totally believe Art can make a difference! Great article! Thank you for this article! I am always excited to hear about programs like this. I am in the process of trying to fund an art therapy program for elementary school students with disabilities. I would love to support this program as well. How can I help? Thank you to the Art Therapy Institute of NC for creating such an inspiring program! Hi Gail .. I’m so glad you like the blog! It was just one of those blinding flashes of inspiration — or insanity — but it’s been a blast. Thank you, Betty, for your support of our art therapy groups with refugee children!!!! This is very article and thank you very much providing this support for Burmese population. I have seen the flag of Burma which is wrong name . The flag is called Karen Flag one of the ethnic group from Burma. Thanks for doing it for them. I am so embarrassed I didn’t know that! 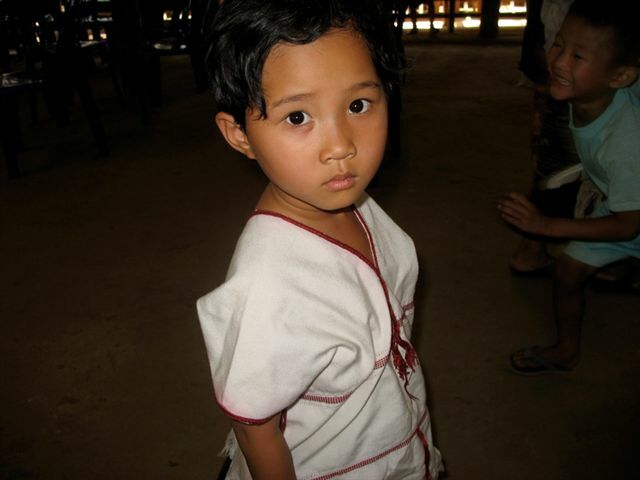 I apologize … and I am so proud to be doing anything for the people of Burma. It’s my pleasure! !